Granola is a healthy alternative to store-bought cereals and is popular to manufacture and sell in small batches. This guide contains homemade granola brand name ideas. 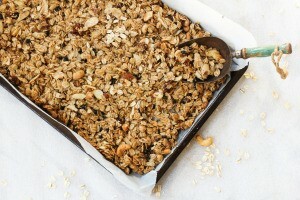 I make granola and granola bars at home. I would like a name for my brand that has an emotional touch to it, something along the lines of nourish, soul, joy, homebaked, etc. I am open to other names as well.